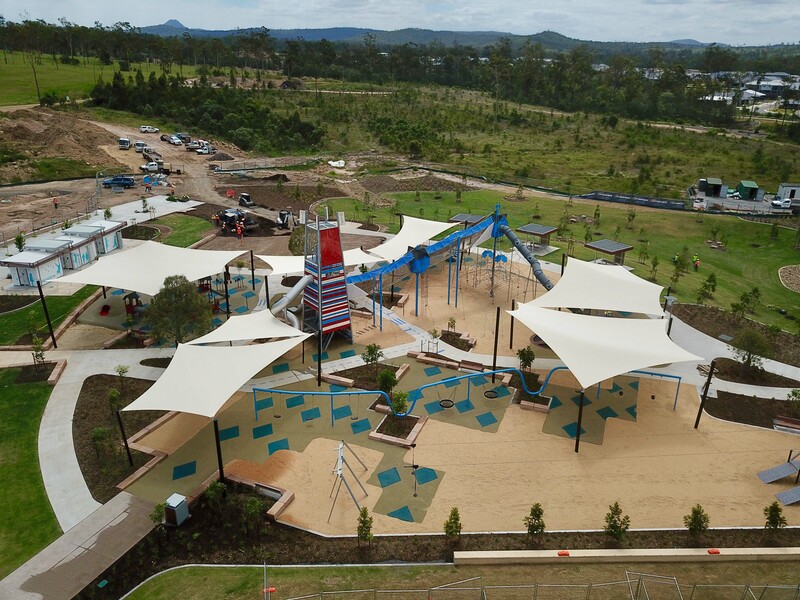 Hailed as Queensland’s largest playground, Flagstone Adventure playground is bursting with play equipment from tiny tots to teenagers. 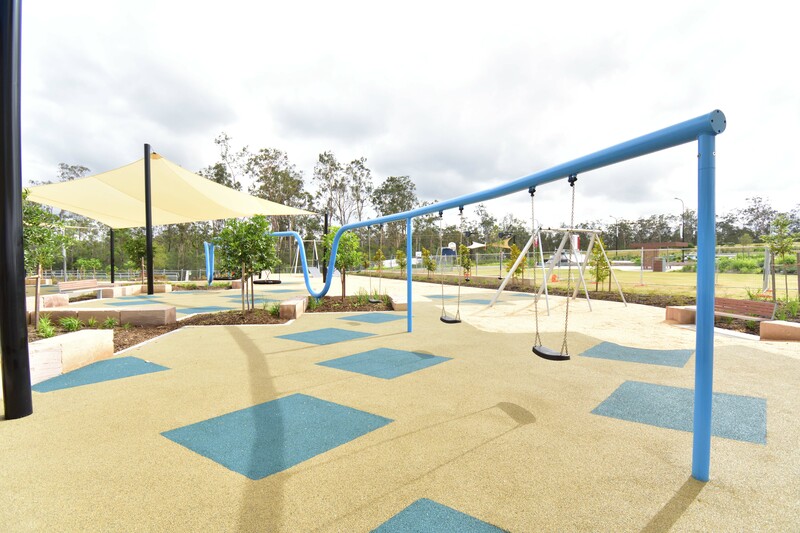 Equipped with inclusive play opportunities and age-appropriate play equipment that engages and challenges children, the playspace is filled with activities for a family day out. Playground designer, Ben Urban, stated “The challenge for us, as designers, is dragging kids away from their computers and giving them a reason to play outside,” he said. 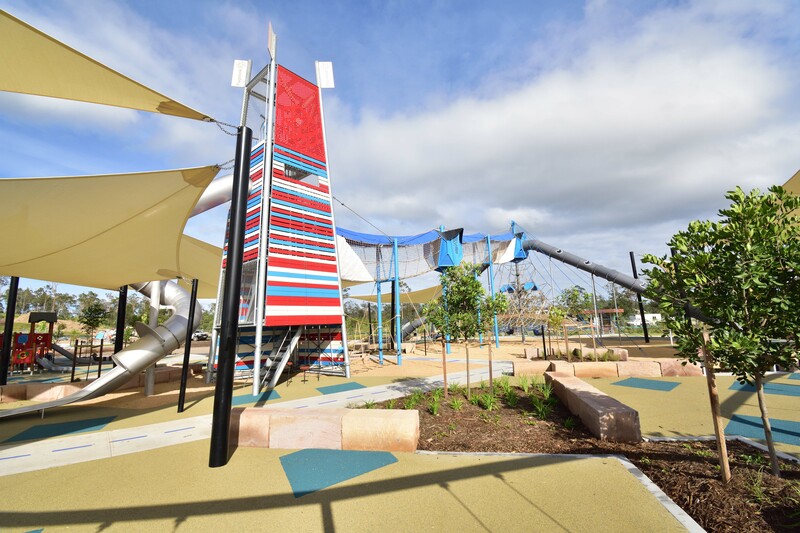 A striking Adventure Tower is the focal point of the playspace, standing at over 11 metres high (the same height as a three storey building), it is the first of its kind for KOMPAN and Urban Play in Australia. Its three levels are filled with climbing tunnels, climbing reeds and binoculars, offering an amazing view for children over the Flagstone landscape. Exit from the monstrous tower is via two fast slides where children safely experience the thrill of speed as they whizz their way back down to the ground. 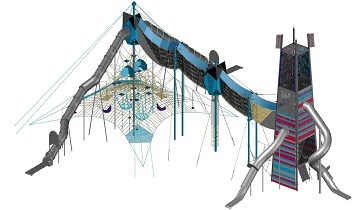 Two Skywalks Cabins are connected to the tower via a 19-metre long Corocord rope bridge where children can view out across the playspace and encounter heights in a safe way. Another entry point into the Sky Cabins is by a Giant Octanet where children can climb their way into the Sky Cabin followed by a race down one of the two 15-metre long slides. 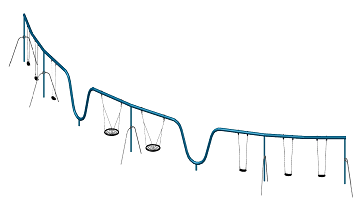 A custom-designed 35 metre long S-Swing is not just architecturally magnificent, its 8 swing seats allows children and adults to swing together and observe the never-ending movement of people in the playspace. 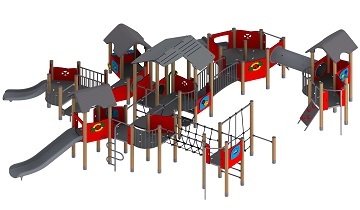 For little adventurers of all ages and abilities, a custom design play area is outfitted with KOMPAN play equipment that is loaded with play activities on every level. 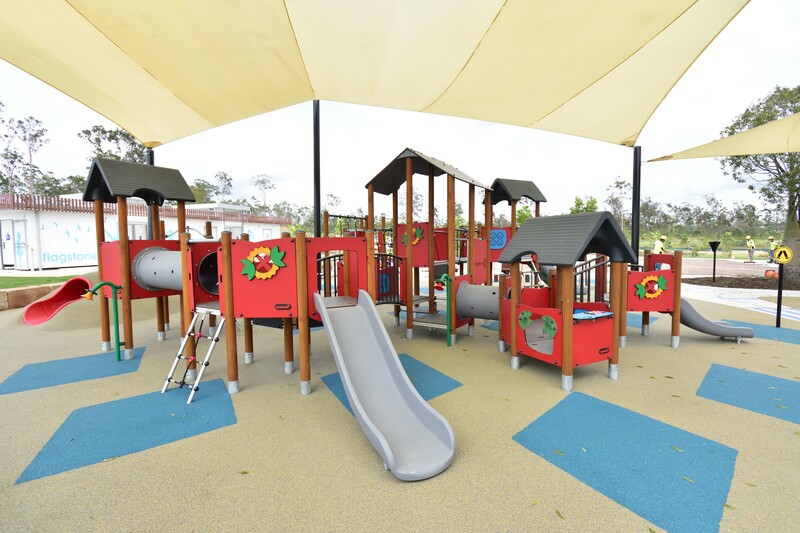 The carefully crafted area provides a stimulating, sensory experience for young children and those with special needs. 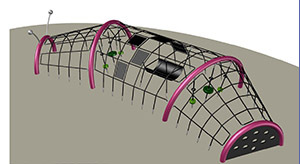 The equipment encourages children to play together and the 360-degree design allows parents or carers to get involved in the play experience. Other elements of this marvellous playspace include a Fairy Throne and seats, an underground tunnel, a crawling sensory bug, an in ground trampoline, a forest bud seesaw, inclusive orbit and a double track ride. 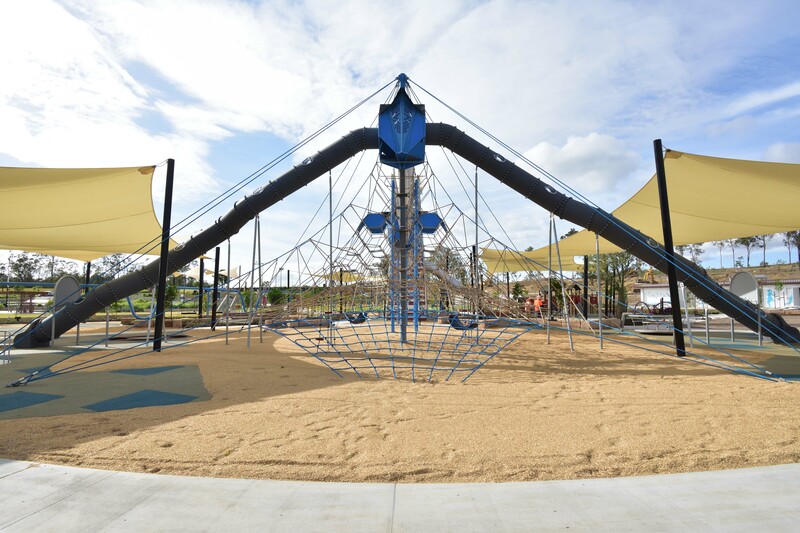 Urban Play collaborated with CUSP Landscape Architects, PEET, Interface Landscapes and KOMPAN to bring this imaginative playground to life.